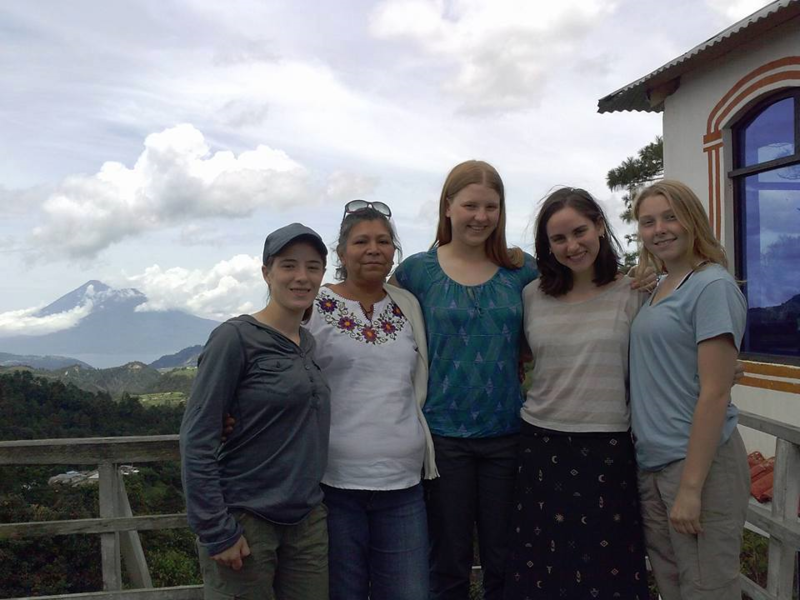 This July we sent our fifth delegation to visit the women of UPAVIM, a women’s cooperative in La Esperanza, our hermanamiento in Guatemala City, with whom we have a nine-year relationship. UPAVIM is an organization that provides employment to over 80 women in one of the poorest communities in Guatemala City, making the beautiful crafts that you have seen on sale in the parlor. This work has allowed them to fund and build a community center that includes a school, bakery, soy milk production and a medical clinic, pharmacy and laboratory. During the trip, our representatives spent a few days living in the homes of some of the women of UPAVIM, sharing meals with their families and learning about the community of La Esperanza and the work of UPAVIM. Below Michelle Loconte, Sam Snyder and Claire Pitstick, three of our delegation members, share their favorite moments from their experience.